Developer Jam City partnered with the nonpartisan organization When We All Vote to create in-game PSAs reminding mobile gamers to register to vote. The American midterm elections are approaching fast, and one mobile game developer is going out of its way to help players register to vote. 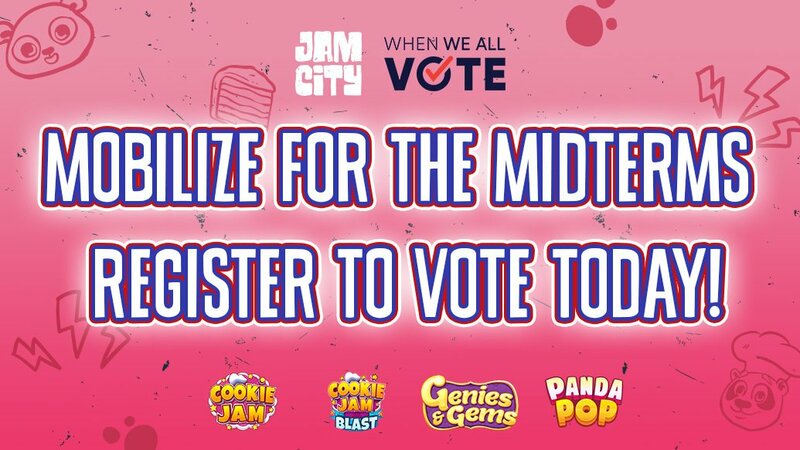 Jam City, the studio behind such games as Cookie Jam and Panda Pop, has partnered with the nonpartisan non-for-profit organization When We All Vote to implement in-game PSAs reminding U.S. players to register to vote before it’s too late. The PSAs were rolled out today across Jam City’s games, and they can be seen until Oct. 5. The reminders coincide with voter registration deadlines throughout the first week of October, and while each PSA varies in style, they all carry the same message: players' votes count, and they should register to vote if they want their voice to be heard. For instance, one reminder features a red-and-blue backdrop that reads "Every vote counts. Be the vote that changes the world. #Bethevote." Another PSA says "It's time to level up the elections" and uses the hashtag "#Leveluptheelection." The PSAs also encourage players to visit When We All Vote’s website to learn how to register in their state. "We want to make sure that every eligible voter casts their ballot and makes their voice heard," When We All Vote CEO Kyle Lierman said in a press release obtained by GameDaily.biz. "Partnering with Jam City allows us to engage with a larger audience through a medium we've never used before—mobile gaming." In an interview with GameDaily.biz, Jam City co-founder and CEO Chris DeWolfe explained that the company was "immediately impressed" by When We All Vote, which was founded earlier this year and has engaged in a relentless campaign to bring eligible voters to the polls. The non-for-profit group’s sheer determination inspired Jam City to think about "the power of mobile" and "the engagement of gaming" in getting out the vote, which led to the PSAs seen today. 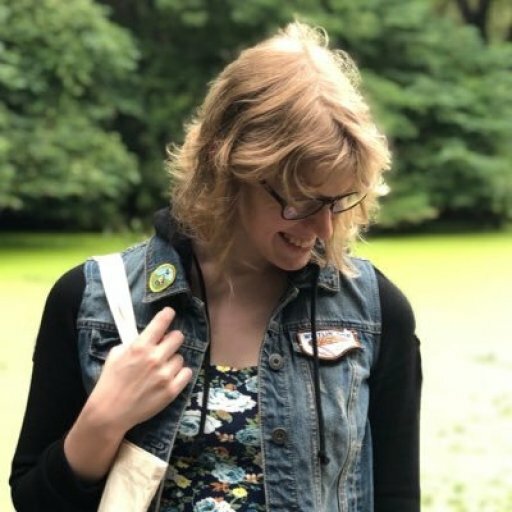 "No matter where you live, your perspectives, what games you play, there is a singular message: make your voice heard," DeWolfe told GameDaily.biz. "It was important to us, and our partners at When We All Vote, to serve players an invitation to participate in elections, and the resources they need to register to vote." DeWolfe explained that mobile games are "a daily part of our lives," one that has been "embraced by all age, socioeconomic, and demographic sectors.” While TV, newspapers, and other mediums are losing younger customers, mobile gaming is constantly growing, which makes it an incredible avenue for reaching players who may not know they are eligible to vote. “Gaming also provides a context where people are focused and engaged, unlike other mediums," DeWolfe explained. "There's a massive opportunity for the mobile game sector to utilize its reach and platform, to make a difference." It remains unclear for now if Jam City will also launch a PSA for the upcoming November midterm elections, but DeWolfe suggested that Jam City is interested in exploring new opportunities for engaging with players in the future. "We're very excited to roll this initiative out and explore how we can continue to provide our players with information that helps them in their daily lives," DeWolfe told GameDaily.biz. The American midterm elections are set for Tuesday, Nov. 6. Across the nation, 435 seats in the U.S. House of Representatives are up for election, and 35 seats are contested in the U.S. Senate. Dozens of local elections will also take place on that day. Initial voter registration numbers suggest a Democratic "blue wave" will lead to victories for the Democratic Party throughout the country, although voter registration initiatives led by organizations like When We All Vote remain nonpartisan in nature.